There is a long way to go between now and the 2018 MLB Draft, which gives us plenty of time to group and rank the crop’s best players in a variety of ways. This fall, we’ll be rolling out our overall college prospect rankings, which will be preceding by a position by position ranking of the top players in the class. In this installment, we’ll be stacking up the top middle infielders in the college class. Entering this fall, there is far more clarity with this group, as arms like Nick Madrigal, Nico Hoerner, George Janca and many others stepped up with impressive summer performances. There is also a strong group of polished, advanced hitters on the list who cement their place on the list with their long track records and high level of polish. 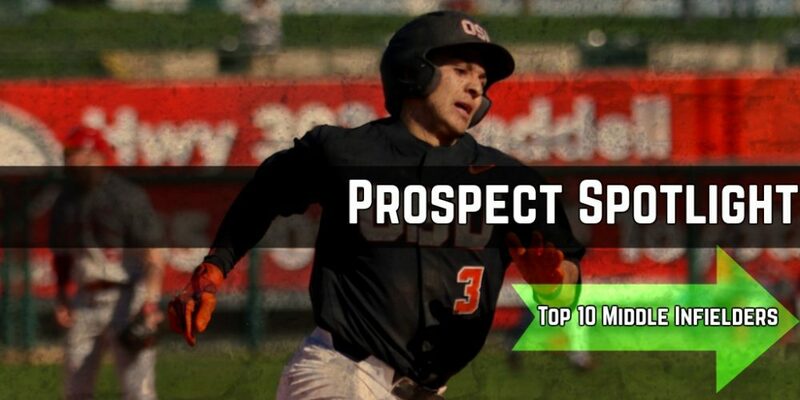 Now, let’s a take a closer look at the top 10 middle infield prospects (2018 draft) in the college class. Click Below To Subscribe & Read Our List!